With a minimalist and refined spirit, the PIKA has the essentials from WEPA yet with greater benefits. If the efficiency of WEPA won you over, then PIKA is inspired by adding in options of comfort(heel risers, heel pad) but most of all the practicaility of a patented removable stopper. Sold separately, it is light and ultra-compact. The PIKA equipped with a stopper will be very versatile depending on your activities and will join you on all of them (free-rando, expeditions, groomed runs). On the heel piece a heel riser was added for additional ease on your ascents. For skiers wishing for a light binding with all options of comfort and safety. The PIKA addresses itself to those in search of a light touring binding yet complete in terms of options: adjustable frontal and lateral release fro 4 to 10, 2 heel riser hieghts easy to engage with a pole ( 0-50mm), removable brake, adjustable plate of 20mm (3 boot sizes) and removable crampon slots. PIKA is doted ith Plum’s ‘TOO FACILE’ technology allowing for quick step-in thanks to the close proximity of the toe pins. On the heel block the heel pad can be replaced by a brake , making the touring binding very versatile in use. The stopper is available in 3 widths (85-95-105mm) and light with only 85grams per foot. It is easy to maniuplate thanks to the button. Binding guaranteed 3 years. 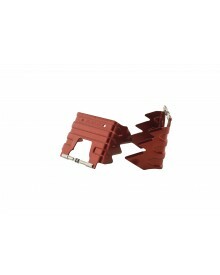 Material Aluminum 7075 shaped out of one single piece, removable crampon slots for PLUM crampons, reinforced toe inserts.